Industry-changing cabinet is designed to accommodate virtually any home. New design is certified to be airtight to less than 1%. 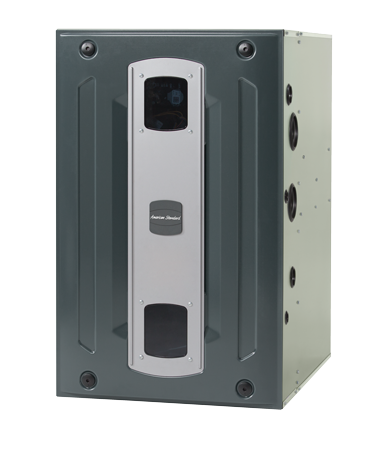 The Gold S9V2 furnace is rated at 96% gas efficiency (AFUE). The Vortica™ II blower is one of the most efficient in the industry, providing savings in both winter and summer. Stainless steel primary and secondary heat exchangers, and new Vortica™ II blower combine to provide a consistent flow of warm and comfortable air with quiet operation. Combine with the American Standard AccuClean™ for a cleaner, healthier, and more comfortable home.